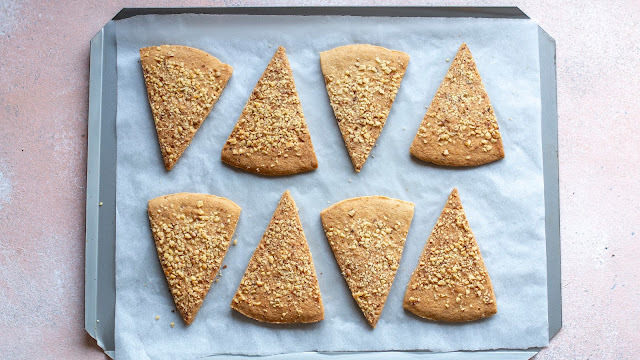 butter and shortbread cookies are on the top of the list. Like any other recipe these cookies can have variations in terms of flavors and textures,you can put your own spin on the basic recipe creating some amazing flavours using different flours,different types of nuts,dried fruit etc..
I’m a sucker for a buttery,crisp,melt in your mouth quality shortbread cookie and at the holiday season when cookies season officially starts(it is too early to talk about holiday baking season?🙄) love making different kinds of cookies for my family and this year i'm thinking of making a cookies board,as i see dessert boards are the latest rage this upcoming season. 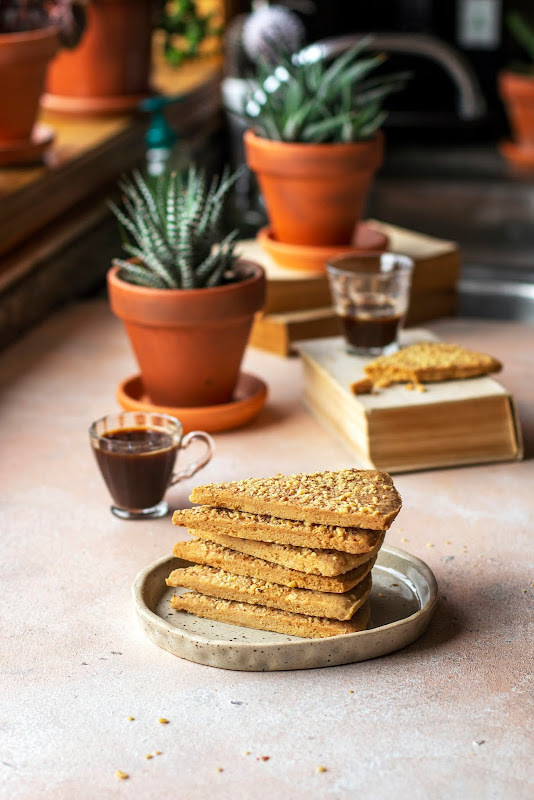 Now,back to these cookies,in a few words-they have a deliciously nutty flavor and are a great companion for cuddling up next to a fire with a cup of coffee or a glass of milk!!! And don't forget to tag me on instagram if you make them😉!! 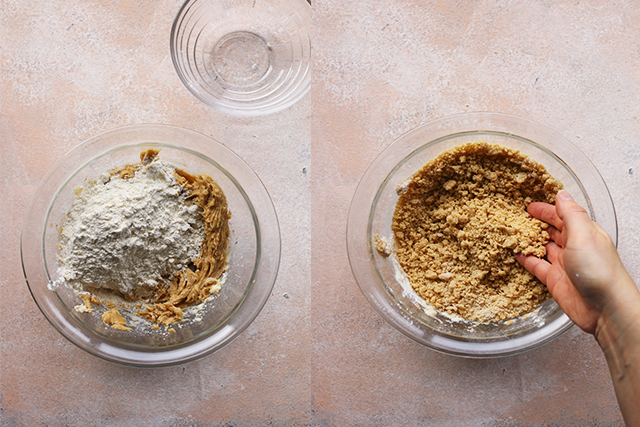 Add butter,sugar and molasses to a medium bowl and beat with an electric mixer until smooth for about 25-30 seconds. 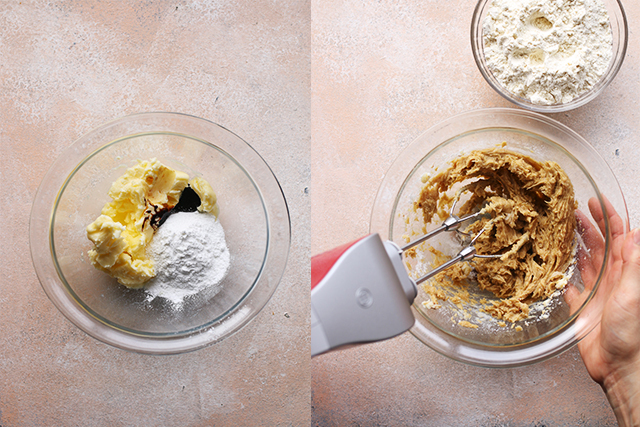 Gradually add flour and mix to combine using a rabber spatula or mix it at low speed using an electric mixer until the mixture will be crumbled and soft. 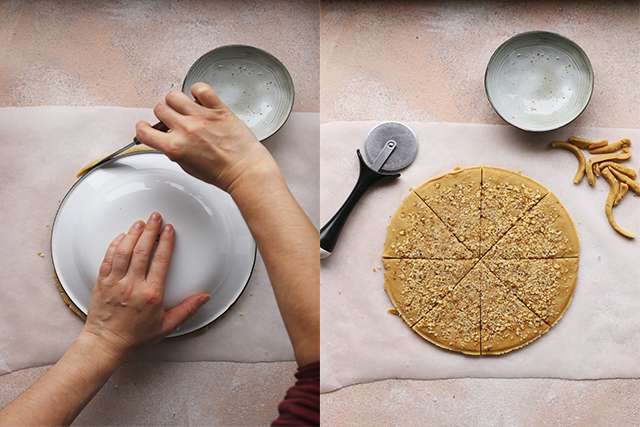 Place mixture on a working surface and knead it with your hands until comes together then form a disc. 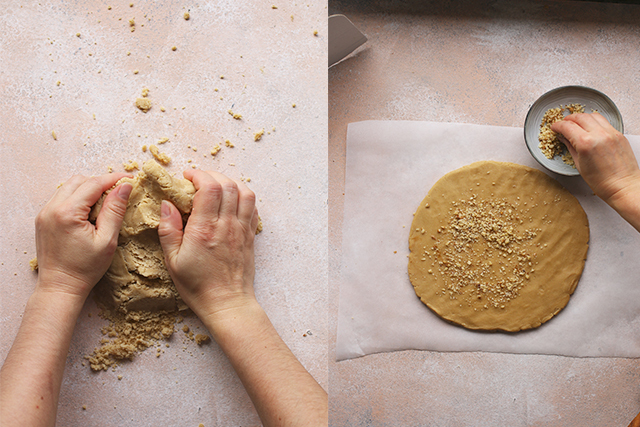 Spread chopped walnuts over the dough and then press walnuts gently into the surface of the dough. 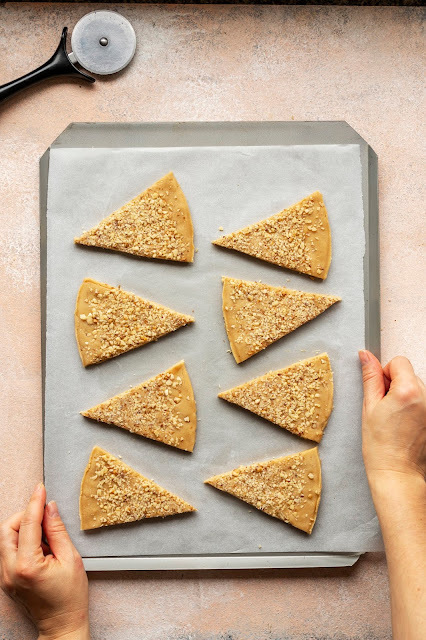 Place a plate on top of the dough and using a small knife cut around the plate.Trim away the excess dough then cut dough into 8 rectangles and chill for 30 minutes. After chilling time,place cookies on baking pan lined with parchment paper and bake at 175ºC/345ºF for about 25 minutes. When done,remove the pan from the oven and let the cookies cool completely before serving. oooh yum, they do look all kinds of good!! Thanks Ruth,i'm happy to hear that!! !